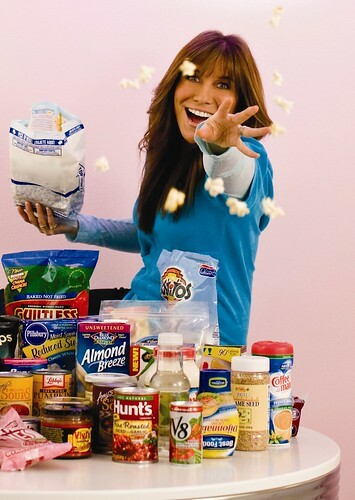 Last year, we brought you an interview with Hungry Girl founder and editor Lisa Lillien about her first cookbook. 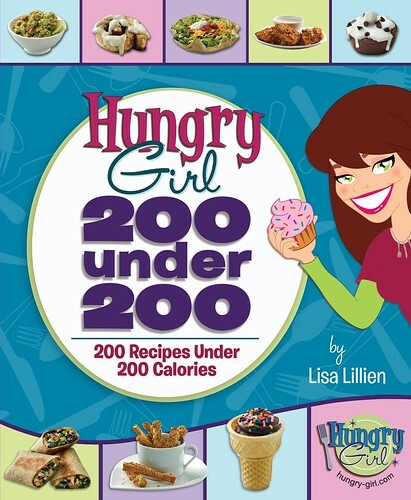 We later got to meet her in person at a 1-800-FLOWERS cupcake event, and were excited to see another cookbook out, Hungry Girl 200 Under 200:: 200 Recipes Under 200 Calories. We know a lot of you are watching your weight, and I recently realized I can't get into a lot of my clothes from eating cupcakes way more than once a week. Also, since her book is ranked #17 on Amazon.com (meaning it's their 17th best-selling book out of ALL the books they sell!) it's clear that a lot of other people are interested in what Hungry Girl offers. I know some people think "diet cupcakes" is an oxymoron, but many others ask us about how they can feed their cupcake obsession and not gain weight. I usually say eat them in moderation, which I stand by, but I also thinking looking into ways to get the cupcake taste sensation and cuteness without as much fat/calories is a valid way to go as well. And we have the recipe for the one below (I selfishly picked it because it's the one I most want to eat! ), courtesy of publisher St. Martin's Griffin - thanks! In a tall glass, combine cocoa mix with ¼ cup hot water. Stir until cocoa dissolves. Add 1 cup cold water and stir well. In a large mixing bowl, combine cake mix, Splenda, and salt. Add egg substitute and cocoa mixture, then whisk until smooth. Line a 12-cup muffin pan with baking cups and/or spray with nonstick spray. Evenly distribute cake mixture among the cups. Bake in the oven for about 15 minutes, until a toothpick inserted into the center of a cupcake comes out clean. Remove from oven and let cool. To prepare glaze, place marshmallow creme in a small dish. Add soymilk and mix well. 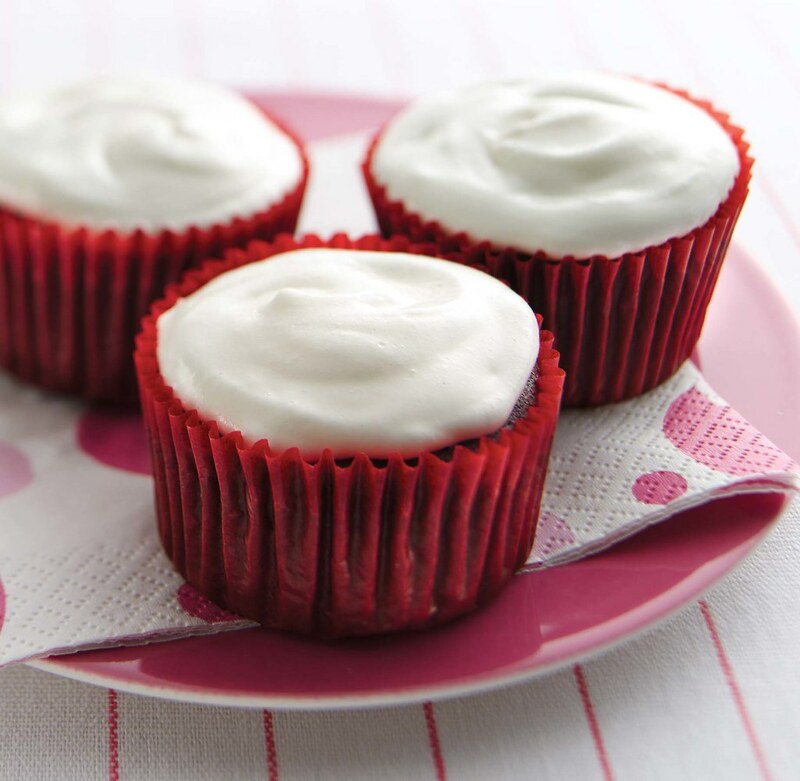 Once cupcakes have cooled completely, drizzle marshmallow glaze over them. 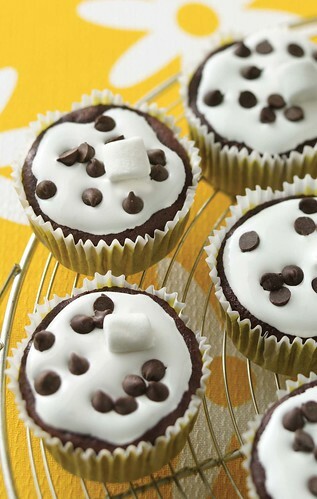 Top each cupcake with ¼ teaspoon chocolate chips and one mini marshmallow. Refrigerate until ready to serve. 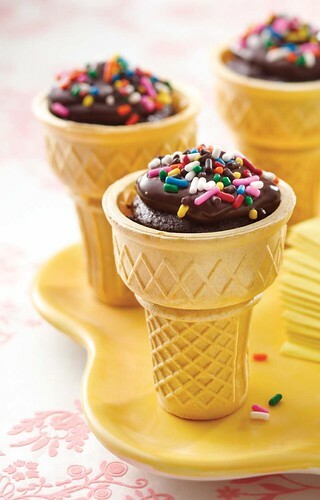 For more ideas, see Hungry Girl 200 Under 200 and the Hungry Girl website.